Anyone that knows me and my photography knows that I don’t like to mess with the photo too much. My goal is always to see if I can make the picture look as it actually does, not better and definitely not worse. However every now and then I like to mess around with the exposure and colour settings, not to make a picture that slightly changes the reality making the shot more appealing than the sight actually is, but to stretch the picture to a point of impossible. 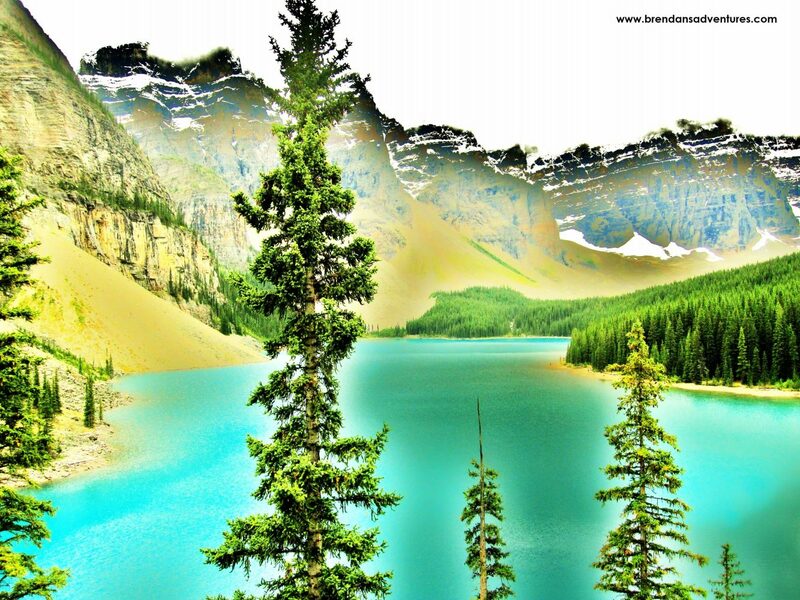 This picture was taken at a lake called Moraine Lake, a place that I think is one of the most beautiful in the world. The lake sits in a valley called Wenkchemna (which means 10 in Cree) Valley. The lake’s colour is bright blue when the sun is shining on it, and the valley’s ten peaks stand tall and proud in the background. However, on the day I visited this lake, one that I have visited dozens of times, the Valley of the ten peaks was very cloudy. The lake didn’t shine the same and the ten peaks were hidden behind a wall of clouds. So, I decided to play. Messing with the shot’s colour temperature, saturation, and the exposure I came up with that amazing picture that almost looks hand pained. To see last week’s Photo of the Week “Arequipa at Night” click here. Your photo result is quite effective seems a bit mystical. Cool photo… great subject! We did a road trip to Banff this summer and were blown away by Moraine Lake. That’s a cool and interesting way to look at a photo. Very colorful too. I wonder how I would think about this photo if I saw it in its original form along side the changed way. The contrast between the original and changed photo would be interesting. Hey Steve, good point! Maybe I’ll post the original sometime as well! Great photo! From some of the photos you posted, this really makes me want to see the lakes in Canada. I love lakes and mountains together so these are fabulous!